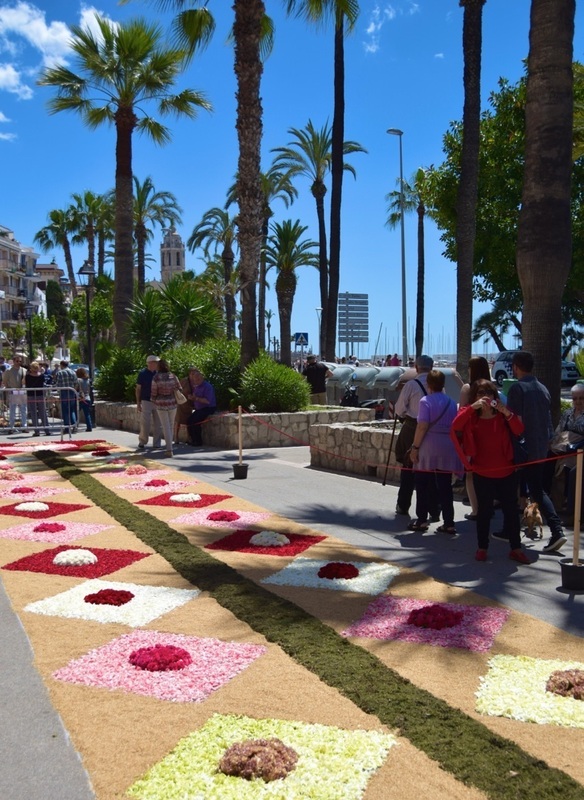 Many Sitges streets will be adorned with flower carpets. 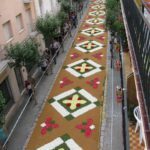 The carpeted streets are called “catifes” and marked in yellow on the map of the Sitges Corpus celebrations. 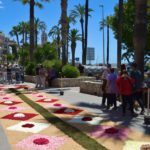 Residents of Sitges start early in the morning and make lovely patterned street carpets using flowers petals and seeds. 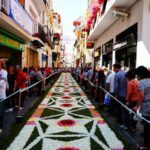 The flower carpets are called ‘catifes de flors’ in Catalan and they cover almost all of the narrow streets of Sitges and some of the plazas. 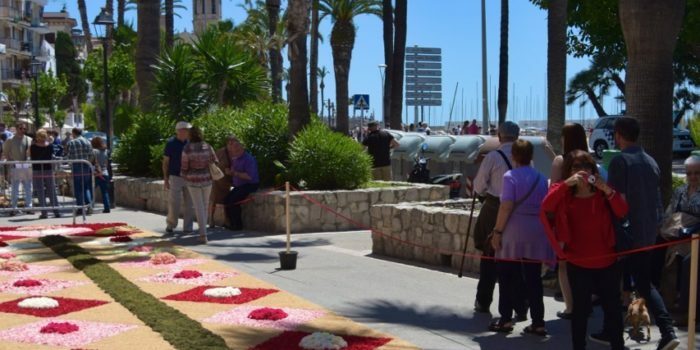 This Sitges event has been declared a Spanish ‘Fiesta de Interés Turístico Nacional.’ Other highlights are the clove fair, called ‘mostra de clavells’ in Catalan, with over 2000 flower pots and over 100 types of cloves. A brief history of patchwork and quilting.  Would recommend it to everyone!